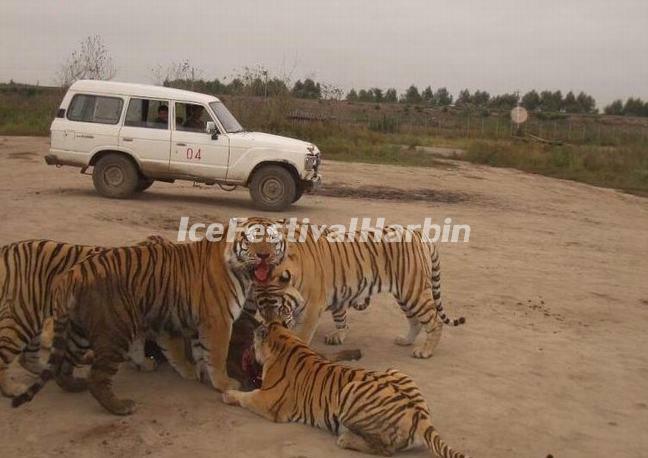 Perhaps, the most thrilling thing on your Harbin winter tour is the adventure in the Siberian Tiger Park. You will find that this trip would be an epical experience in your lifetime. 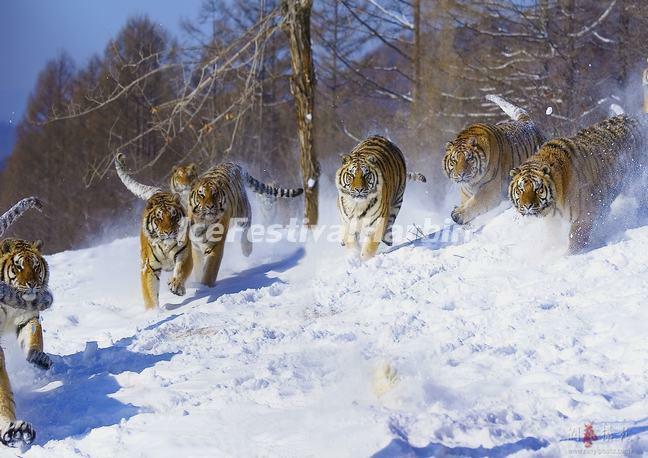 Siberian Tiger Park is located on the northern side of the Songhua River and neighbors the Sun Island. Covering an area of 1,200,000 square meters, the park is considered the one and only place in the world to admire the purebred and scarce Siberian tiger (aka Manchurian tiger), one of the world's top 10 endangered animals. The park consists of five sections: Adult Tiger Garden, Adult Tiger Breeding Garden, Tiger Cub Garden, Lion Garden and the Walking Area. Currently, the park has more than 600 tigers, which are trained to get used to the natural environment. In the park, tourists can feed the tigers with meat even take photos with them. In addition, some protected tour cars or jeeps also cage tourists to linger through the fierce animals to appreciate the adventurous and exciting scene: the tiger may jump up the tops of the cars/jeeps; sometimes the worker throw some meat out of the windows and the tiger catch them.